There are some situations in life, when vitamin C supplementation may be advisable. 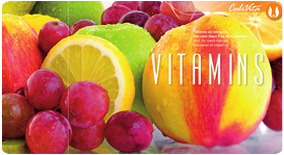 C 1000 and C 500 provides extra high potency vitamin C, while C PLUS is for those preferring complex formulas. In the CaliVita range of products, you can find many kinds of vitamin C so choose the one that is most suitable for your age and health condition. Vitamin C is a water soluble vitamin. It activates numerous enzymes, has an important role in cell respiration, and offers protection against stress. It helps the absorption of iron, together with folic acid and vitamin B12 stimulates red blood cell production. Due to its antioxidant effect it supports the healthy functioning of the body’s resistance. It is also necessary for the functioning of the nervous system, it participates in the formation of the structure of the connective tissues, and hereby helps preserve the integrity of skin, gums, bones and cartilage. 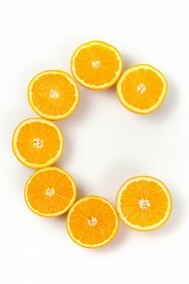 Since Vitamin C (ascorbic acid) belongs to the group of water soluble vitamins, it may be emptied from the body quickly. In up-to-date formulas – like for example C Plus – vitamin C is complemented by biofl avonoids which promote its absorption. These are often mentioned as vitamin P. Human body is unable to produce biofl avonoids, so they must be ingested with food. Together with vitamin C, they guard and protect the inner structure of capillaries; they have circulation stimulating effects. This group of compounds is often used in case of sports injuries as well. In the natural vitamin C, ascorbic acid molecules are linked together to form multiple, chemically complex molecules for which the action is much longer than the effect of a simple synthetic ascorbic acid. C Plus: contains rose hip powder and bioflavonoids promoting the utilization of vitamin C as well. Vitamin C is sensitive to heat and light, what should be considered in storing. Persons with a history of kidney stones seek medical advice before applying the formula! Excess intake of bioflavonoids may cause diarrhea!